Let’s call it “Nancy’s Rule.” Or better yet, let’s call it “The Bushmiller Principle,” after Ernie Bushmiller, who drew the odd, deceptively simple comic strip Nancy, for decades. Whatever makes it seem more sophisticated. Because it is. One of the most important things about illustration as a visual communication form is that it is not photography. The created image allows for different methods of visual communication than the captured image does. 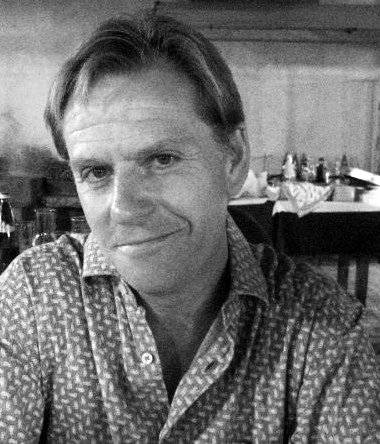 Starting out, students are often limited in what they can picture in their heads, because they think in terms of their own perception – reality. They create pictures have the same rules that life has. Like, gravity. But drawn pictures can defy that, like Nancy does. Pictures can go beyond the narrative as well. We can “picture” things in other ways. Symbols, metaphors, abstraction, surrealism and more can be used to illustrate. As a teacher, I’m often encouraging the exploration of unreal and non narrative ways to visually communicate. My job is to dismiss assumptions, presumptions and inclinations. That said, successfully breaking from reality is dependent on intention. The surprising needs to happen by design, if it is to work. Notice that Nancy’s voice balloon doesn’t defy gravity as she herself does. Bushmiller understands how we read pictures (and read text) and knows that changes from the logical need to be under his control always. And, within the intellectual grasp of the viewer – to whom the image is served. The viewer has to recognize the image and the idea – even the crazy ones. “I didn’t know that we could do that!” is a very common response of my students to my pushing of their concepts to beyond the narrative. “Anything can happen in a comic strip (or any drawing)” is my reply. Starting now, I’ll call it: The Bushmiller Principle. 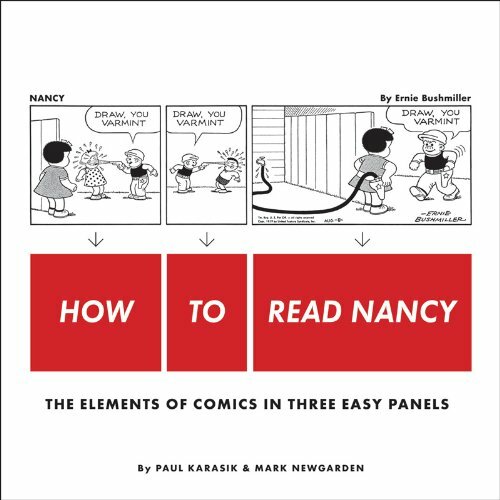 A new book by Mark Newgarden and Paul Karasik (who teaches with me in the Illustration Department at Rhode Island School of Design) called How to Read Nancy: The Elements of Comics in Three Easy Panels is new to bookstores. The book, adapted from their well regarded 1988 essay and published by Fantagraphics, uses a single Bushmiller comic to explain in depth how sequential pictures are designed to work.